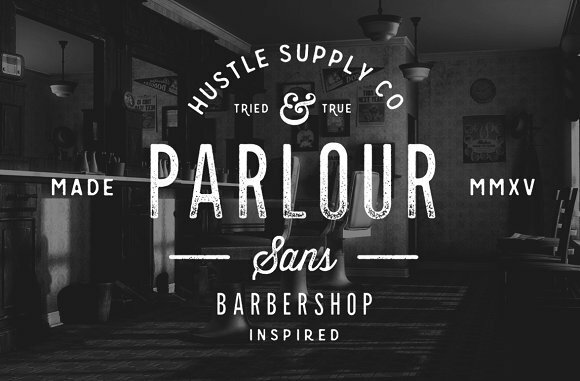 Parlour font is the ideal fit for bringing a memorable style to barbershops and beauty salons. The font is delivered with a texture that's already applied in the lowercase, without any degradation in the uppercase. It comes in the .OTF format featuring a full alphabet, numbers, punctuation & other extra glyphs.